The book has been out for a few weeks now and reviews are starting to show up all over the place for the book. The very first person to finish reading "12 Weeks in Thailand" was a guy from Norway named Mikael. I've never met him or spoken to him before, but reading his review made me instantly know that it was worth all the long days and sleepless nights I stayed up to finish the book. "I just finished reading your book. It was really informative and inspiring. I admire you for what you've accomplished, and I appreciate you sharing your story. I have to admit, I've been wanting to go to Thailand to train for two years now. I finally decided to go last October, and I'm leaving 31/01/13 - to stay for six months. I've been working 70 hours weeks to be able to do it, and my shape isn't that great. I was getting really nervous, getting cold feet, having my friends doubt my judgement, wanting to hold me back. It made me question my decision. I was ready to stay home, in the same boring, exhausting and unhappy life, until I read your book. It gave me hope that maybe I could fulfill my dreams, or at least find out who I really am, if I give myself a chance to do so. I'm a really shy and introverted 22 year old man, so I guess I don't really know much about what my life will bring. All I know is that you made me certain about taking the first step, and for that, I can't thank you enough. I just really wanted you to know that it means a lot that you shared your experience." I know for me personally, I was scared to take a long trip out to Thailand, even though I knew it was relatively safe, I knew that it would make me happy, and I knew that I had so much more to gain than to lose. But I was still scared. Wayne from the U.S. recently quit his job to come train at Team Quest in Chiang Mai for a year. He thanked me for inspiring him to come, he said that if I hadn't done it first and if he hadn't followed my blog and read my book, he never would have had the courage to do it. "I read your book -- really interesting and very insightful information in there. Truly appreciate you sharing some of the stuff and the pointers on what to bring, where to train, eat, language, etc! 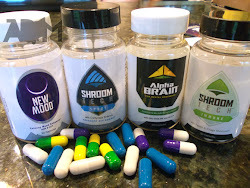 Thanks again for your blog and the book, very interesting and helpful!" "I am an impulse book buyer because I believe that that even if there is a single piece of wisdom or valuable insider information it is worth paying for. 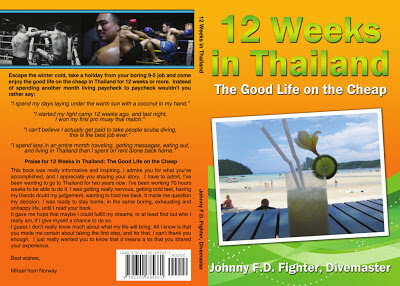 I'm planning to spend a month in Thailand very soon, with a focus on getting in shape under a Muay Thai camp. As an Canadian Born Chinese I support Asian Americans (and Canadian, British, Australian Asians ect ect) and their arts and publishings. I enjoyed the book and reading about your experiences." 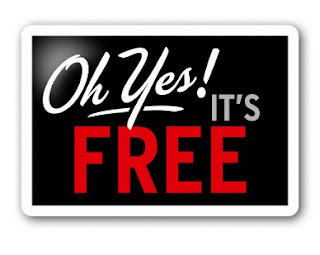 Download a FREE preview of the book! If you're even remotely sick of your job, the stress of everyday life at home, and wish you could just pack up and travel around Thailand for a few months, do yourself a HUGE favor and read the book. 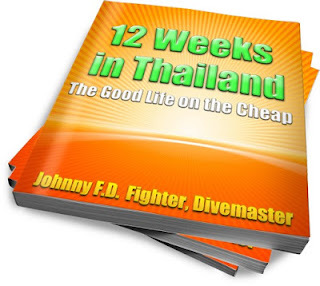 If you're thinking about coming out to Thailand to train Muay Thai, MMA or if you're dreaming about becoming a Divemaster or working as a PADI Scuba Instructor, trust me, read the book and it'll save you so much time trying to research it on your own, headache and money. I've also been told it's a really easy read and quite funny as I talk candidly and openly about my adventures, random hookups and relationships while training and traveling. Download the free chapter, if you like it, buy the book. And if you aren't 100% happy with it just send me an email and take advantage of the 60 day money back guarantee on all digital copies. I'm serious about it too, if the book isn't everything you thought it would be and you don't think it was worth the money, just return it and get a 100% refund. You literally have nothing to lose and the world to gain. Or buy the book in paperback and have it shipped to your door anywhere in the world. Paperback copies are available for $29.99 plus shipping. If you've read the book, please leave a comment below and leave a quick review on Amazon, it'll really help people on the fence about buying it! Dear Johnny, I just finished reading your book, I really enjoyed it, you did cover up everything in your book for any one planing to go to Thailand for a trip, training, scuba diving,etc. basically you answered all questions that anyone could be wondering before travelling to another country. I really loved it and I definitely recommend it to any one who is thinking or interested in going to Thailand. First off, cheers for the personal thank you email, it's a nice touch. Long story short it seems you and I have a lot in common. I'm always keen to see guys who are doing online marketing successfully rather than just talking about it. But more importantly I have a trip booked for Thailand at the end of May. Don't have a lot of experience at the moment but looking to get as far away from corporate land as possible for a while. At the moment I'm just researching some gyms to get a decent idea of what's what. Clearly the book packages a lot of the common questions that people are going to have around coming there long term. But basically your book cut my research time in half. Easy decision for me. Barely read a single post before buying. I have just started to read your book! My string was scuba diving and muay thai! I was curious if scuba diving and nitrogen levels would affect muay thai training. I'm currently training at Fairtex mountain view, and am looking to visit Thailand for training and vacation. Loving your book so far! It's a very informative book that tells you the practical things you should consider if you're considering going to Thailand to train, as well as some great advice for when you're actually there. There's certainly things in the book that even I wouldn't have considered! It was an entertaining read, with some rather amusing anecdotes. Thanks everyone for the positive reviews so far, keep them coming! I'm sure people that are on the fence about spend the money on the book appreciate hearing from others that it was worth it. Have a good trip to Thailand Simon, glad you enjoyed the "rather amusing anecdotes." haha. I just purchased your ebook and it was well worth the information! I've been training muay thai for a year in the states want to train in Thailand this summer and maybe get a fight. Hey John, thanks for buying the book! Enjoy your time in Thailand.